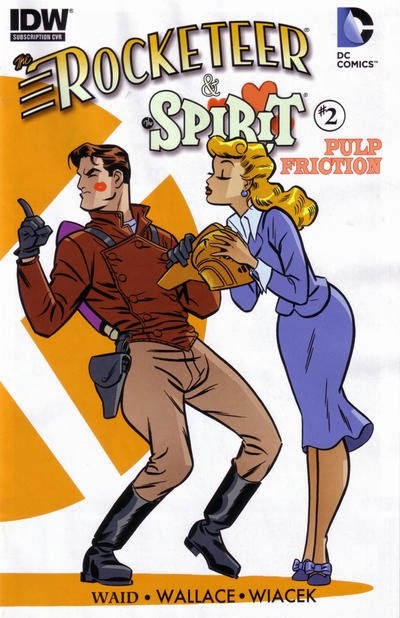 The Crossover Universe: Crossover Covers: The Rocketeer/The Spirit: Pulp Friction! 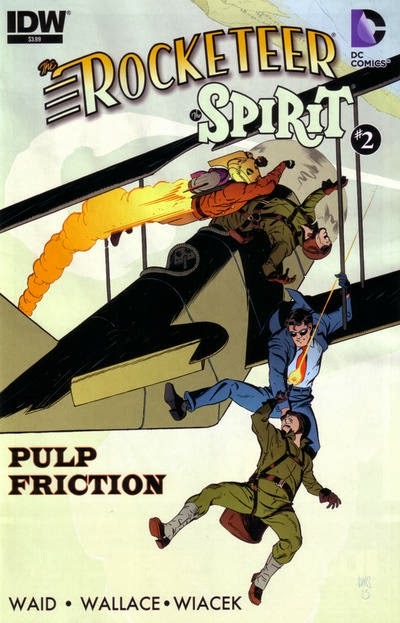 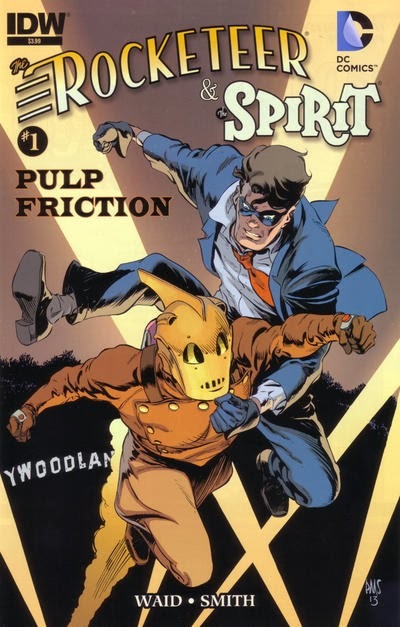 Crossover Covers: The Rocketeer/The Spirit: Pulp Friction! 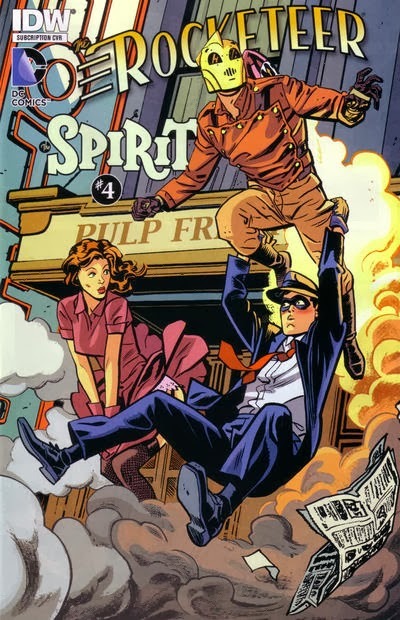 A highly entertaining miniseries that will be in Volume 4. 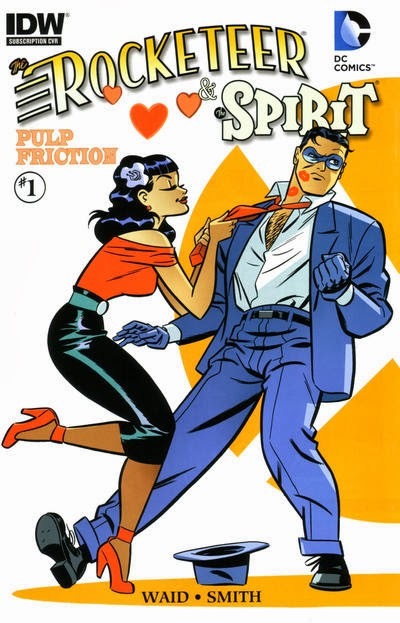 I'm glad that IDW is emulating Dave Stevens by continuing to have Cliff Secord's alter ego encounter other famous characters. 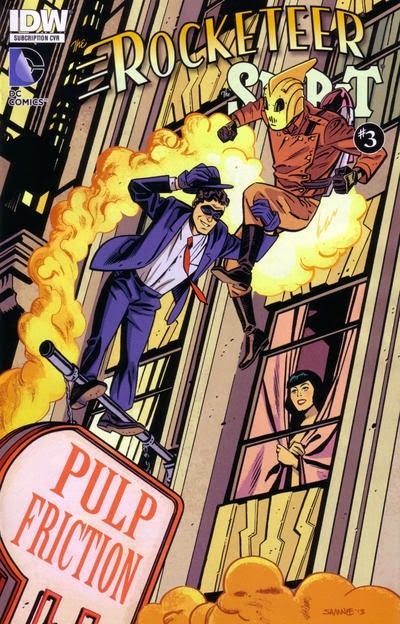 And not just because it gives me fodder for the books; I genuinely think they're doing justice to Stevens' character.